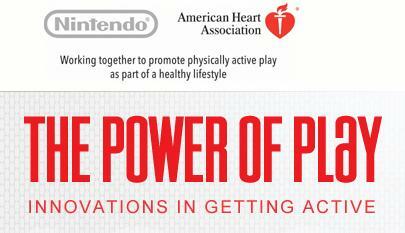 Feb 3, 2011 When I was invited to attend the “Power of Active Play” summit hosted by the American Heart Association and Nintendo, my synapses were firing in Howard Rheingold mode, wondering if this convening was going to be a glorified commercial for the gamification of life. I may not be wearing the same rose-colored shades of Jane McGonigal’s Wall Street Journal article about the powerful ‘save the world’ benefits of video games (though I love her positive strategies for solutions-based problem-solving) but I certainly DO embrace the opportunities for tech and gaming in creating next generation learning tools. I admittedly have a ‘wean from the screen’ bias for playing outdoors, BUT I also completely “get it” that the word “game” is no longer a four-letter word when it comes to kids’ health and fitness…As I said in Part One, Play WORKS and games are simply not an ‘either/or’ proposition, but an ‘and/also’ prescription for maximizing the power of play both online and off, indoors and out. In all honesty, I wasn’t sure WHAT to expect from the conference. I can attest that it was much more ‘power’ than ‘play’ since some of the brightest minds in public health, wellness, technology and gaming communities dove into open session projections of futuristic thinking to present opportunities and challenges in the next five years. I almost showed up in yoga pants since there was a ‘recess’ area touted, but realized I’m all too often in hopeful hands-on mode, when most school systems and workplaces are much more MIND than body focused. Clearly, this heart-healthy crowd of brilliant electrophysiologists, neuroscientists, and health and education rockstars chatting about active innovations in play was on the same page in terms of hoping for more ‘active recess’ WITHIN the conversational format. Ironically, my favorite talk of all, (Elizabeth Cushing representing Playworks.org) was the only speaker who specifically integrated the audience into her point about physical engagement and relatedness beyond machines and tech tools. Using a simple “stand up if this statement applies to you” classic engagement approach, she created a welcome stretch break and made a poignant point about the value of participatory PLAY in itself. 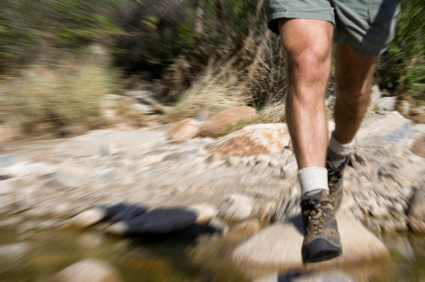 So let’s start there… After all, playing outdoors is free. With over 20 million copies of WiiFitPlus sold in the US alone, nine computer games sold every second in 2009 and growth of the industry pegged at “five times more than the national economy” it’s lucrative as well as practical to leverage exergaming to tackle obesity as an Rx prescriptive. 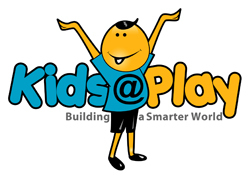 That said, having worked with schools to amp up physical and nutrition interventions observing playgrounds with kids weekly for years, lining up and engaging with expensive tech toy screens is not pragmatic, scalable, or even desirable, imho, and Playworks research and studies on Why Play Matters can further explain WHY. I personally find HUGE merit in integrating the shiny penny aspects of fun exergaming technology that is actively engaging the ‘lower 20% of the sedentary spectrum” who needs and benefits from movement the MOST. That’s part of the usefulness and challenge of a summit like this, where scientists, child health advocates, and industry pros can brainstorm together in ‘what if’ style to keep trying new ways to get past the ‘perceived joylousness’ of ‘working out’ (even the phrase sounds laborious!) and shifting towards the purity of play and fun. 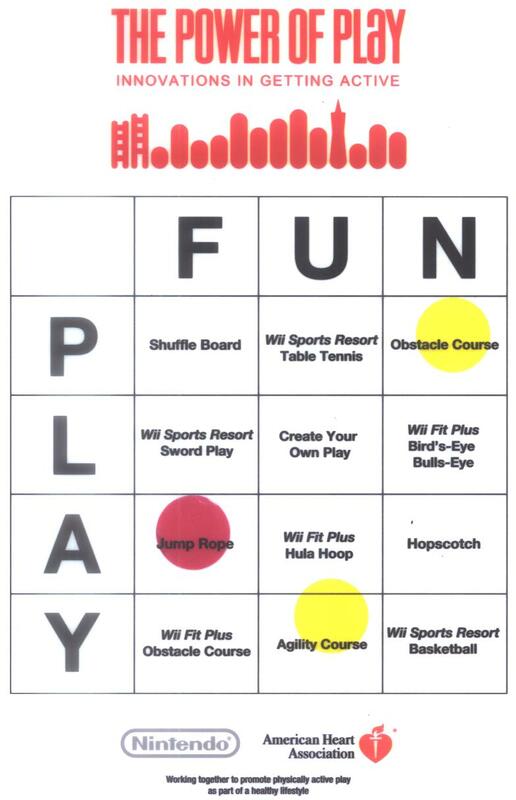 Not sure when “play” became “work” but somewhere along the cultural continuum, “fun and games” started taking on an electronic, screen-based focus and child’s play shifted from the ramp-n-rev of the recess bell to brain-based focus. View more presentations from lizlyons. Realities: Only 25% of gamers are under 18, 49% are 18-49, 26% are 50 and over…women now make up 40% with games being used not only by kids but adults ranging from workplace performance to lifestyle behavioral/medical interventions and grandparents needing some post-hospitalization WiiHab. Realities: Gaming itself has ‘gone social’—48% of parents now are gaming with kids once a week, 2010 statistics revealed almost 70% of gamers play WITH others (up from 50% in 2006) and some are even forming ‘a league of their own,” yielding leaderboards, virtual challenges, fitness groups that convene in community settings, the works. It’s mission-critical to get that bottom 20% of the population up and moving. If we can use video gaming to reach those “unwilling or unable” to make changes, some of whom are already sedentary, immobile or hard to wean from the screen, this could be a huge, very solid first step Rx. Stereotypes: Wrist work and mini-exertion shifting bodyweight doesn’t do much unless you’re coming out of full inertia, in short, it’s not ‘real’ exercise. And here’s American Center for Children & Media’s David Kleeman on HuffPo in a great piece titled, “I second that E-motion” all about his experience at CES11 (Computer Electronics Show) as he writes…. “…There are new devices — like Microsoft’s Kinect for the Xbox 360 and gesture-recognition technology from Omek Interactive — liberate kids from controllers and wires, engaging the entire body and upping the intensity…The first time I tried Kinect, I swayed tentatively to control my whitewater raft. Quickly, I learned that the game would respond only to energetic side-to-side springing. I got to see just how amped up some of the heavy “exertion games” can get via Stanford’s Fulbright Fellow Floyd Mueller who gave us a wild demo of “exertion interfaces’ where shadowboxing among remote users can actually have people playing in full tilt intensity for stress relief and exhaustive game play that rivals any gym exercise I’ve seen…yowza! 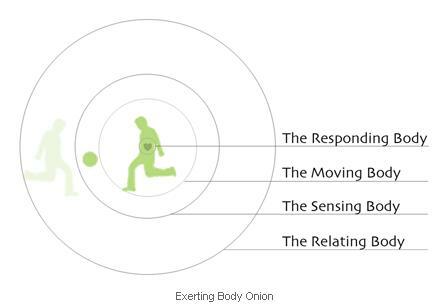 Mueller researches how to foster physical AND social health benefits, using a ‘body as onion’ framework to give us the full theory surrounding the physicality: responding, moving, sensing, relating. …But I can almost see the siblings taunting each other in ‘bring it’ mode to challenge one another across the pond to a ‘let’s play’ work out (or snowboard, or ski or any of their other long lost pastimes) Fun! Yes, I realize slamming fists into screens across the continents is hardly a Health2.0 panacea, but it sure did get my attention in blowing apart the myths of how these protocols could be used far beyond the “move more, sit less” common sense sedentary intervention. I put my dear, 6’4 sibling, an eco-naturalist, off-the-grid, cold climate inhabitant, former forest ranger, sustainability enthusiast (he was visiting from the mountains of Colorado) on a gaming console system since he had never set foot on a Wii. Purpose? To see if he’d treat it as a ‘toy’ or a ‘game’ or a ‘workout’ or a ‘novelty’ or if he’d just ‘play’ once I set him up with it and left him alone to goof around. If we embrace the power of what works to address the gaps in what doesn’t, the middle ground looks pretty rosy indeed. Next up? The ‘idea hamster’ (moi) is let out of her cage to brainstorm the ‘what ifs’ in getting kids active in classroom environments, learning about active play experiences in education and how we can jump start schools into ‘less sitting, more movement’…Stay tuned for part 3 in the Power of Play series. Health 2.0: When Life Goes Sideways, Is There An App For That? Humana G-Force: Can Guinea Pigs Help Kids Get Healthy?